We have a small range of plans with multiple generic house size options, however we are only limited by your and our imaginations. If you imagine it, together, we can build it. Custom designs are our speciality. If you want a friendly, enjoyable and honest process in building your dream, we would love to hear from you. 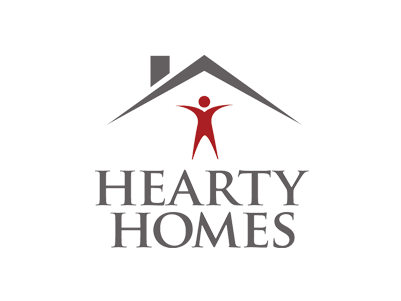 Kevin Vanderkley, Managing Director of Hearty Homes, has been building quality houses in the Ballarat region for 15 years. He began his career in the construction industry at the age of fifteen with his father as an apprentice bricklayer. Kevin went on to owning his own bricklaying business and chose to build his own home. He then went into the renovating field and progressed into speculative building and property development. The enjoyment of working directly with clients and creating their dream home inspired Kevin to begin his own business where he can continue to build quality homes and form lasting relationships. We build your home in a professional, honest, friendly and enjoyable manner. Hearty Homes source Ballarat’s best qualified tradespeople to get a result that meets our high quality standards and to ensure a smooth transition through your home building process. Whilst we are specialised in custom built homes we also offer off the plan designs which we are more than happy to alter to suit your personal lifestyle or requirements. Our aim is to make your house a home for years to come.